Writing on the album to follow the debut was begun immediately after returning from the tour. But the recoring of the album was delayed due to line-up changes when Rickard Lundmark and Petter Nilsson left the band to pursue other interest after having recorded the song for "The Deathkult EP", a split EP along with German death metal band, Revel in Flesh, released though Joe Black Records. 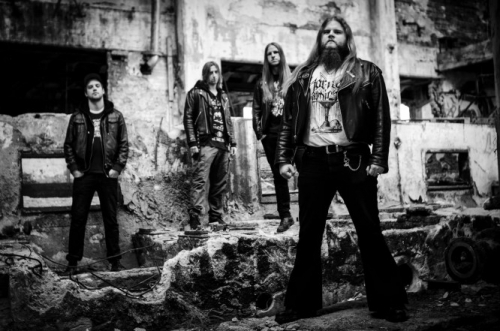 The band was later joined by ex-Armagedda drummer, Roger Markström, and Markus continued as the sole guitarist and the recording process for the next album could be started. The new album "Where Dead Dreams Dwell" is to be released in May though Cyclone Empire.